Patria Productions Inc. is proud to announce the release of a dual CD album of soprano Marta Eggerth, star of stage and screen. A living legend from the world of operetta, lieder and European movies, this CD album represents a 73 year recorded legacy of recordings from the early 1930s to the present. Marta Eggerth made some 40 movies mostly in Europe before World War II and appeared in numerous operetta roles most notably as Hanna Glawari in Lehar's The Merry Widow on Broadway together with her husband, the Polish tenor Jan Kiepura. This album contains her most famous repertoire including selections by Franz Lehar, Emmerich Kalman, Robert Stolz, Paul Abraham and other operetta luminaries, who specially wrote works for her. She has established herself as one of the most famous exponents of the operetta genre till today. Divided into two CDs, CD-1 includes her early opera recordings of Puccini, Bellini and Rossini and her many songs made famous by her movies. CD-2 are recordings spanning from 1955 to 2002 of her favorite numbers including her own arrangement of medleys from The Merry Widow, Kalman's Princess Czardas, songs from Robert Stolz and John Kander as well lieder selections from Ravel and Chopin. Mme Eggerth is heard in six languages. Extensive booklet notes are provided with many photos from her illustrious life as a singer and movie star. There are previously unreleased material and live excerpts from recent concerts. 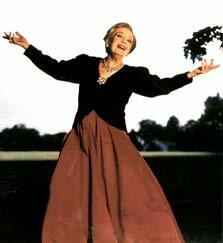 Marta Eggerth passed away on December 26, 2013 at age 101. 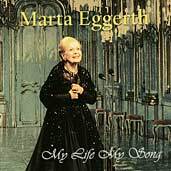 Marta Eggerth can be heard on a 2-CD compilation, My Life My Song, highlighting more than 70 years of her recordings from the early 1930s to 2002, as well as more than 80 years on the stage. Released in March 2005 by Patria Productions, the dual album spans her most popular repertoire including selections of operetta luminaries who specifi cally composed for her, including Franz Lehar, Robert Stolz and Paul Abraham. Her career is highlighted by numerous operetta roles, most notably as Hanna Glawari in Lehar's The Merry Widow, a role she performed more than 2000 times in five languages on Broadway and throughout the world. Marta Eggerth, My Life My Song was a project spearheaded by Jane Knox Kiepura, executive producer and co-founder of Patria Productions. Patria Productions was founded by Jane Knox Kiepura, along with her husband, Marjan Kiepura, the son of Marta Eggerth and the late Polish Tenor Jan Kiepura. The project involved compiling recordings spanning more than 70 years, as well as searching and evaluating family collections, and dealing with collectors worldwide.